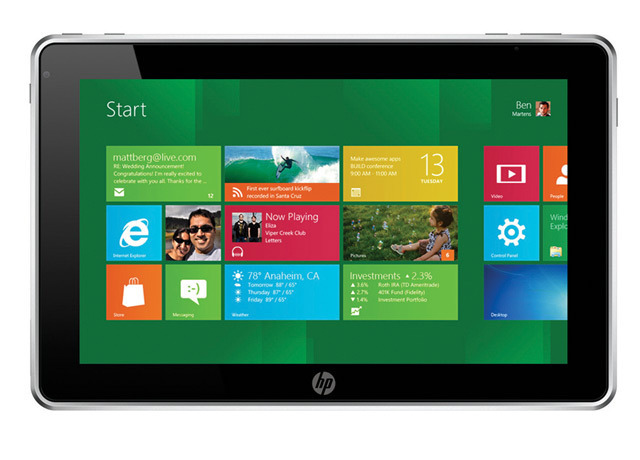 HP is set to make Windows 8 tablets using x86 chips by Intel, focusing on ARM-based tablets later on. In a recent article by Bloomberg, HP is said to focus initially on providing x86-based Windows 8 tablets, and will focus on ARM products later. The decision, as noted by HP's own Marlene Somsak, was supposedly "influenced by input from our customers." Marlene later added that the "robust and established ecosystem of x86 applications provides the best customer experience at this time and in the immediate future." HP's first Windows 8 tablet will also focus on the business market more than anything else. It's hard to say whether or not this is the right path, as HP can quickly fall behind in the general consumer space. Or, perhaps it's a smart move. Maybe HP would rather, at first, stay away from an area that's already dominated by Apple and Android products? Either way, it's too early to tell. More news from HP is expected throughout the coming weeks.